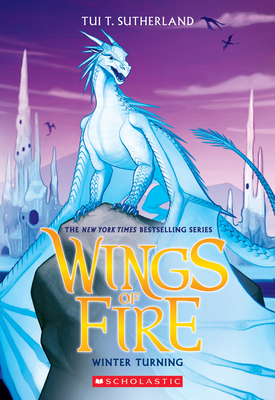 The New York Times and USA Today bestselling series soars to even greater heights with a new prophecy and five new dragonets ready to claim their destiny! Winter's new clawmates, Moon, Qibli, and Kinkajou, won't let him make this dangerous journey alone. They don't seem to understand that IceWings, the most superior of all dragon tribes, can fix their own problems. When their search leads the dragonets straight into Queen Scarlet's vicious talons, Winter is grateful to have some help. But even the bravest dragons can't follow him to the Ice Kingdom, where he'll have to face the greatest threat of all: his own family.